Considering getting a PRK laser eye surgery or other modern ophthalmological procedures? Finding only the best eye surgeons will guarantee the ultimate eyesight correction and getting the best treatment possible. The best eye surgeons are always certified by the American Board of Ophthalmology, are staying informed about cutting edge medical research in Ophthalmology and have received multiple positive reviews from peers and grateful patients. In addition, we highly recommend you consult at least two eye surgeons before deciding to go along with an eye sight correction or lens implant surgery to find the best less aggressive treatment option for you. Also it does pay to check laser eye surgery price from doctor to doctor to get an idea what to expect. Look through our selection of the best eye surgeons in the US. 1. Peter McDonnell, MD focuses his research and medical practice on treating corneal disorders and diseases. He is also a Director and Professor at the Wilmer Eye Institute in Baltimore, MD. Many times he was rated among the best eye surgeons in America by Ophthalmology Times. 2. Michael Wall, MD. His special interests in Ophthalmology include optic nerve disorders, early detection of glaucoma and loss of vision. He is an active contributor to a number of periodic publications related to Ophthalmology and Neurology. 3. David F. Chang, MD specializes in lens implant surgical procedures and was the first doctor in America to implant a light adjustable lens. 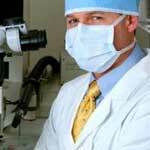 He is also a creator of the leading cataract corrective procedures. He practices in Mountain View, CA. 4. Steve Charles, MD practices in Memphis, TN and holds over 100 pending patents on various ophthalmological research procedures especially pertaining to retina corrections. He is considered one of the most innovative research ophthalmologists in America. 5. Anne L. Coleman, MD Ph.D is proud to focus her medical practice and research on age related vision loss problems including macular degeneration, cataracts and glaucoma. 6. Steven J. Dell, MD takes pride in focusing his medical career in LASIK eye surgical corrections and cataract surgeries. Dr. Dell has written numerous textbooks and medical research articles on cataract and refractive eye corrections. 7. Danniel S. Durrie, MD has been recognized as one of the best eye surgeons in the US for performing refractive eyesight corrective procedures. He also is proud to be a participant in a number of FDA clinical trials. 8. Amir Arbisser, MD is rated one of the leading pediatric ophthalmologist in America and prides himself in performing cutting edge ophthalmological procedures and contributes to a number of medical journals including Ophthalmology Management. 9. Paul Arnold, MD specializes on cataract corrective eye surgery procedures and top of the line techniques to treat patients with glaucoma. His cataract and glaucoma treatment techniques have been published in leading ophthalmology journals. 10. Peter Fries, MD is specialized in surgical correction of a plethora of eye and area around eyes problems resulting from eye trauma, congenital deformities and certain types of cancers. He is a proud member of a number of Ophthalmology Societies.